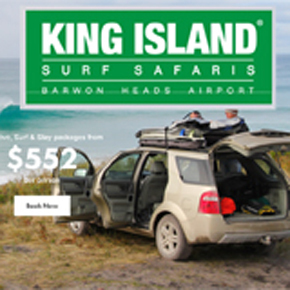 There are many easy ways to get to King Island and start your holiday. There are no passenger ferries to the island so you’ll need to fly, either from Tasmania (Burnie – Wynyard or Launceston) or mainland Australia (Melbourne). There are three airlines flying from Melbourne each day. 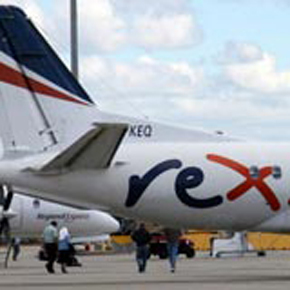 Rex conveniently leaves from Tullamarine once a day, with additional flights sometimes available in the summer. Sharp Airlines conveniently leaves from Essendon Airport twice a day. If you’re closer to the eastern side of Melbourne you might prefer to fly with King Island Airlines who depart from Moorabbin airport twice a day throughout the year. Moorabbin is easily accessible by car from the centre of Melbourne or if using public transport you can catch the train to Cheltenham railway station and then jump in a taxi for the short trip to the airport. 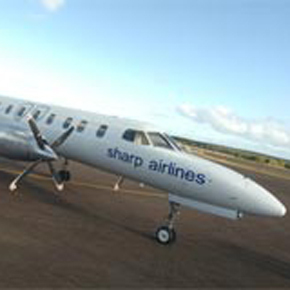 Visitors from Tasmania can now fly from both Launceston and Burnie (Wynyard) with Sharp Airlines up to two times a day. If travelling in a group it may be surprisingly cost effective to charter a plane from a convenient location. Providing daily air services for carriage of passengers and freight between Moorabbin Airport in Melbourne and Currie King Island. Fully flexible charter services are also available in our jet prop and twin engined aircraft. Passenger and freight flights 7 days a week. Flying from Tullamarine, Melbourne, to King Island and return 7 days a week. Fly in comfort and style aboard our Saab aircraft. Only a 50min flight to the Island. A baggage allowance of 15kg per adult applies. Sharp Airlines have grown to be a successful regional airline with services running between Hamilton, Portland and Melbourne (Essendon) in Victoria, Adelaide and Port Augusta in South Australia. Tasmanian services to King Island and Flinders Island from Melbourne (Essendon) and Launceston. Includes services to or from: King Island – Wynyard – King Island , King Island – Launceston – King Island. 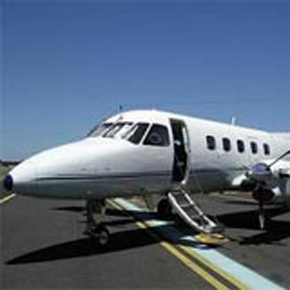 Private air charter flights for groups, corporates and leisure travellers to King Island. 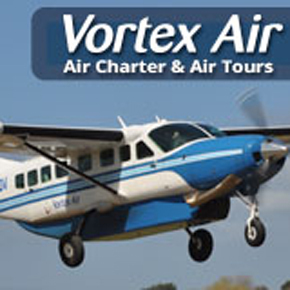 Based at Moorabbin Airport, Melbourne; Vortex air provides the comfortable, convenient alternative to commercial flight options. Vortex Air provide a fly in fly out experience direct to the destination without the hassle, delays and congestion of alternative transport opportunities. King Island Surf Charters provide their professional & experience flight service, with the convenance of a private airline charter. Flying direct from Barwon Heads Airport in Victoria to King Island, they accommodate either small groups or individuals. We have a fleet of 4 planes to suit your requirements, for either a quick day trip or stay longer with full flights, accommodation, and car hire packages- Give us a call to book. 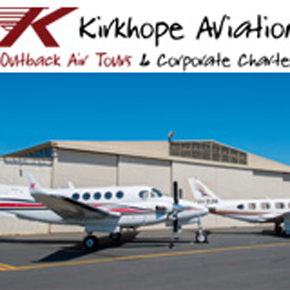 Kirkhope Aviation and Moorabbin Air Charters provide an air charter service from Moorabbin Victoria. As well as the charter service they can arrange a one or two day stay including all tour activities and accommodation. The fleet of aircraft include a Baron, Navajo and 2 Chieftains (twin engine piston aircraft) and a twin turbine pressurised Beechcraft Super KingAir B200. Flight time in the air is 35 minutes. Shortstop Private Jet Charter is a long established air charter operator based in Melbourne. They operate 2 beautifully refurbished DC3s that seat 28 passengers each. 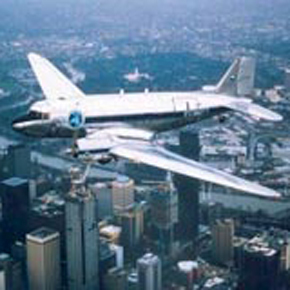 The aircraft are regular visitors to King Island where the actual trip becomes part of the experience. 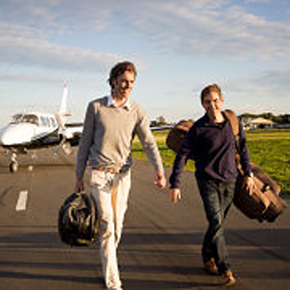 Flights depart from a private VIP lounge at Essendon Airport. Secure undercover parking is also available. We organise the flights in our private aircraft, accommodation and transport so you can enjoy a trip that is specifically catered to your needs. Conveniently based at Barwon Heads Airport, offering flexible depature and pick up times to fit around your schedule. Whether you would like to fly in for the day or play the triangle of courses at King Island and Bambougle over a few days, the choice is yours.